Why do farmers love CO2 enrichment so much? Carbon makes up about 45% of the dry weight of plants and is possibly the most important element to plant structure. Plants fix carbon from CO2 in the air, but the ambient levels of CO2 (about 300 ppm most places) aren’t nearly enough to maximize plant growth. Most plants see increased growth between 800 or 1200 ppm; 1200 is the level that most growers try to reach. Indoor farmers especially can utilize methods of CO2 enrichment to boost yield (usually by about 30%). But how much CO2 should they add to reach that 1200 ppm mark? This post will explain how to calculate plant CO2 consumption and the supplementation necessary to boost yields. Don’t forget that even though understanding the math behind these numbers is important, there are easy-to-use tools that growers can use to save some time. Read more about supplementation methods here. We don’t recommend doing all of the math yourself on CO2 supplementation, because there are reliable and easy tools out there that will do it for you in much less time. However, understanding the logic behind these calculations can help growers understand how CO2 enters and is used in your farm. To understand how to calculate CO2 supplement amounts, there are three things that you need to understand about the physics and the economics of supplementing CO2: carbon density, direct costs, and indirect costs. Different compounds have different carbon densities. As you’ll see below, propane has a higher percentage of carbon in one molecule than methane does. This means that 1 lb of propane is NOT the same as 1 lb of natural gas or 1 lb of CO2. The carbon from each feedstock has to be calculated differently. Direct costs are what you pay, in this case, for the CO2 itself. A direct cost of CO2 enrichment would be the cost of the supplementation method or the cost of the burner. If you know the cost of the supplementation method and the carbon density of that method, you can get the cost of the carbon. CO2 enrichment often involves burning. This results in CO2 in addition to water vapor and heat. In this case, the indirect costs are things like dehumidification, air conditioning, and cooling—costs that result or are associated with the supplementation process. To understand these costs, you need to know the BTUs (British Thermal Units) generated and the amount of water being generated. 1 – Calculate the carbon density of the crop. For example, one crop might have a carbon content that is 50% of dry weight. Most crops are 40–50% carbon (dry weight). This does change between crops and production method, and more specific numbers can be found in the literature on the topic, but it’s usually very close to 45%. 2 – Calculate carbon removed. This basically describes how much volume of a crop is removed on a particular basis. Combined with the carbon density of the crop, the volume removed tells us how much carbon we need to supplement. Farmer Joe harvests 12 pounds of basil and 40 pounds of lettuce every week. At 47% and 45% carbon (respectively), Joe is removing [12(.47)] + [40(.45)] lbs of carbon per week. That comes out to 23.64 lbs/wk. 3 – Calculate the carbon content of a particular feedstock. You might be tempted to say, “Since I have ten pounds of CO2, I have ten pounds of carbon.” That’s not how it works; we need to look at the weight of each element and how many atoms are in the feedstock compound. Carbon’s molecular weight is about 12, and hydrogen’s molecular weight is close to 1. The total molecular weight of methane, then, is 12(1 carbon)+1(4 Hydrogen)= 16. Three carbon atoms make a weight of 36, and 8 hydrogen atoms make the total molecular weight 44. The carbon density is 36/44 or 82%. The atomic weight of oxygen is close to 16, so the carbon density is 12/44 or 27%. As you can see, you get the best carbon density from propane and natural gas. While you do have to burn both of those, they’re much more efficient at getting CO2 into your system. Each of the fuels results in CO2 and other products. Burning one CH4, for example, results in 1 CO2 and 2 H20, along with heat. Now you know how much of a feedstock you need to burn/release to supplement. *Note on units: Natural gas is measured in cubic feet, while CO2 is measured in pounds, and propane is often measured in gallons. You want your estimate for CO2 supplementation (from step 2—the amount of carbon removed) to match the actual supplementation (from step 3—the amount of carbon you’re putting back in) in the unit of measurement used. If you’re measuring the crop volume removed by weight (pounds), but you’re using natural gas, you’ll want to convert the natural gas number to pounds. The number you can use to do that is 0.06242796 pounds per cubic foot of natural gas at ambient temperature and pressure. For example, if you have 10 cubic feet of natural gas, multiply it by 0.06242796 to get the measurement in pounds. You would have 0.6242796 lbs of natural gas. If you’re using propane, you can use this number to convert gallons to pounds: 4.24 lb per gallon. Again, if you’ve got 10 gallons of propane, multiply by 4.24 to convert the measurement to 42.4 lbs of propane. For 42.4 lbs of propane, which has a carbon density of 82%, multiply 42.4 by .82 to get 34.77 lbs of carbon. Plants take up CO2, but there are additional ways that CO2 can be lost from an environment. This loss could be due to ventilation, a leaky room, or diffusion from the facility. Unfortunately, there’s no easy way to find the efficiency of your facility. Growers can estimate efficiency based on air turnover, air flow through open windows, cracks under doors, etc. In a completely sealed environment, a grower might expect 20% efficiency (20% of your air volume is being lost). *Remember that air already has an ambient level of CO2 of about 300 ppm. Multiply the gross amount of CO2 enrichment by efficiency to get cost. For example, Farmer Joe is paying $21.91/week to supplement. He knows, however, that about 20% of that CO2 is lost due to ventilation and air leaks. Multiply $21.91 by .2 (or 20%) to find the additional cost required to compensate for lost CO2, which is $4.38. Add this to the original cost, and you’ll see that Farmer Joe should plan on burning through $26.29 per week. Dear Dr. Nate Storey, good evening/ good morning. My name is Andre Oliver (from Sao Paulo, Brazil) and I am an MBA student at the University of Southern California, in Los Angeles. Our MBA consulting team is working on a class project that is related to a major multinational chemical manufacturer whose products can enhance carbon dioxide levels in greenhouses and indoor farms through absorption and desorption of CO2. As part of our research journey, we need to understand the greenhouse and indoor farming processes, their value addition to the produce, and most specifically, the benefits (and potential down points) of CO2 supplementation, as well as the variables involved in the decision making process to use supplemental CO2 or not. 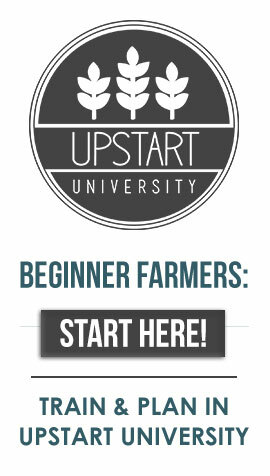 I have watched many of your videos and read the “Why and How to Supplement CO2 in Indoor Farm” session at Upstart University’s webpage, which already represents a great asset to our project. Would it be possible to schedule a call for a research interview? I are not so sure how to approach the cost structure of supplemental CO2, how to make a go or no go decision to you it or not, and would really appreciate your guidance.